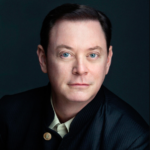 National Book Award-winning author Andrew Solomon will speak at Rise’s annual benefit on October 19. Here he discusses his work, his own story and his connection to Rise. Q: What do you see as the common theme across your work? A: The theme that interests me the most is resilience: How do people achieve resilience? How do they manage to go through difficult circumstances and come out OK? My first book was about a group of Soviet artists and how their lives changed in the 1980s when the Soviet Union ended. These artists had lived through really terrible things—prison camps, and Siberia, and all kinds of anguished, difficult experiences. And yet, they were making art, and by expressing themselves in their art, they felt they had a purpose in life. Their purpose was to keep the truth alive when they were living in a place where people wanted to erase truth completely. If you can find that sense of purpose, that’s central to resilience. That’s what unites my work: How do people get through unbelievable, harrowing difficulty? How do you manage to cope and hold your head up? And how can we as a society acknowledge the strength and courage of people who manage to achieve identity and resilience in the face of severe challenges? Q: Your book The Noonday Demon is about depression. Parents with child welfare cases report that dealing with the system causes depression. Other parents come into the system with depression. How can they cope? A: I think if you weren’t depressed before you started dealing with the system, you would get depressed pretty quickly once you started dealing with the system. Part of the experience of depression is the feeling of powerlessness. I feel like this system gives people an immense and terribly dangerous feeling of powerlessness. And not just the feeling of it—it gives them the reality of powerlessness, which is deeply depressing. Depression is very treatable but you have to be able to access good treatment, and it’s really hard to do. You have to first of all recognize that you’re depressed, and that can be confusing. If you have a terrific life and you’re depressed, you think, “What’s wrong with me? Why do I feel like this?” But if you’ve just had your children taken away from you and you feel depressed, you think, “Well, of course I feel this way! My children were taken away from me.” It’s harder to figure out if you may also have depression. So the challenge, in a way, is to first identify that you have depression and then to try to find a competent doctor to deal with it, which is not so easy to do. It has to be good quality care because bad care doesn’t do anyone any good. If you know you have depression, you should know it’s treatable, and you should try to get treatment. Q: How can parents find resilience within themselves? Resilience comes from finding community. Rise is the kind of place, so far as I can tell, where people find community. You’re sharing your experience with other people that have been through the same thing. That’s a huge source of strength and power—having people around you. If your problem has a solution, the sense that you’re working toward a solution can also help. If you’ve been given five hoops to jump through to get your kids back, if you can really figure out which you’re going to do first and make a plan for yourself, that can give a feeling of resilience. A lot of resilience comes, if you can access it, from other people who can give you their love and attention. If there are other people who actually care about and love you, even if they’ve been difficult, try to spend some time with them and hopefully get built up by their love. Don’t give up too soon. Don’t just think, “I’ve lost my kids and it’s all over.” There’s a pretty good chance that if you do what’s asked, you’re likely to get them back or have some access to them. Try to keep your eye on that shining prize in the distance instead of the horror of the present. Q: Your book Far From the Tree focused on parents whose children were very different from them, including children with autism, dwarfism, or even geniuses. What did you see as commonalities in how these very different families coped? A: If you have a child with a specific difference–for instance, a certain kind of dwarfism–if you decide that you only have something in common with other families with that exact difference, then you only have something in common with a few hundred people in the world. But if you discover, “Ok, I’m dealing with the experience of having a child who has a condition or a nature I don’t understand,” then you actually have something in common with a large part of humanity. One message of the book is that it’s not so different having a child with Down’s Syndrome, or a child who commits crimes, or a child who is transgender. All of these families are facing up to difference, and difference is difficult to negotiate, but not impossible to negotiate. And many people have kids who are really surprising to them. Parents often look at their kids and think, “What planet did you come from?” It’s almost a universal experience to feel, “It’s really hard to know my child. It’s really hard to know what to do for my child.” So instead of cutting you off from normal life, difference can connect you. The book is also about: How do we create a more open, tolerant society? Because almost every condition I looked at included some kind of medical problem, but the reason these people’s lives are so difficult is not just a medical problem. It’s also a social problem. How we mistreat, laugh at, or avoid people who are different is a big, tremendous problem. People should stop taking pictures on their phones of dwarves on the subway. That would make their lives a whole lot easier. We need to build a kinder society where you can have a medical problem but the social part of the problem goes away. Q: Like Rise writers, you’ve written and spoken publicly in great detail about your own life story. What drives you to do that? A: When I was growing up, I thought if anyone found out I was gay, it would be the end of the world. My family couldn’t know, nobody could know. I kept it as a big secret. Finally, I came out in my early 20s. I swore to myself that I would never be in a closet again. I’d done that, and I was never going to do that again. So, when I had these things like depression, I wasn’t going to get into that all over again. I wasn’t going to try to pretend it wasn’t true. Now, when I’m actually in a depression, I sometimes don’t want to tell anybody. It’s very hard to communicate about it. But in general, in life, I didn’t want to be lugging around a whole lot of secrets. Keeping secrets is exhausting. So that was one piece of feeling ready to tell my story. It’s also that stigma comes from hiding. If you hide something, you’re indicating that you find it shameful. If you’re going to have a society with less stigma, there has to be less shame, and the only way for there to be less shame is that people have to speak about their differences. I thought to myself, “I live in New York. I’m a writer. I’m not going to get fired from my job if someone doesn’t like what I say. If I’m not willing to speak out, how can I expect others to speak out?” I felt there was a moral push behind it. Q: What impact do you hope that your work is having? A: I would like it to make for a kinder world. I’ve had a number of letters from people. One was only one sentence long: “I was going to kill myself but I read your book and I changed my mind.” And I thought, “OK, if no one ever reads something else I’ve written, I’ve done something.” But I hope to help make the world open and tolerant, and to help people come in from the margins of the society. So many people are out at the edges, and don’t have much. I’d like to have a world that’s more sympathetic to them. We now have an administration that is bullying and cruel and demeaning. We need to stand against that. Everyone deserves dignity, and respect. And we need to pay attention to injustice in the world. I hope my books make some people at least a little less unjust in their interactions with others some of the time. 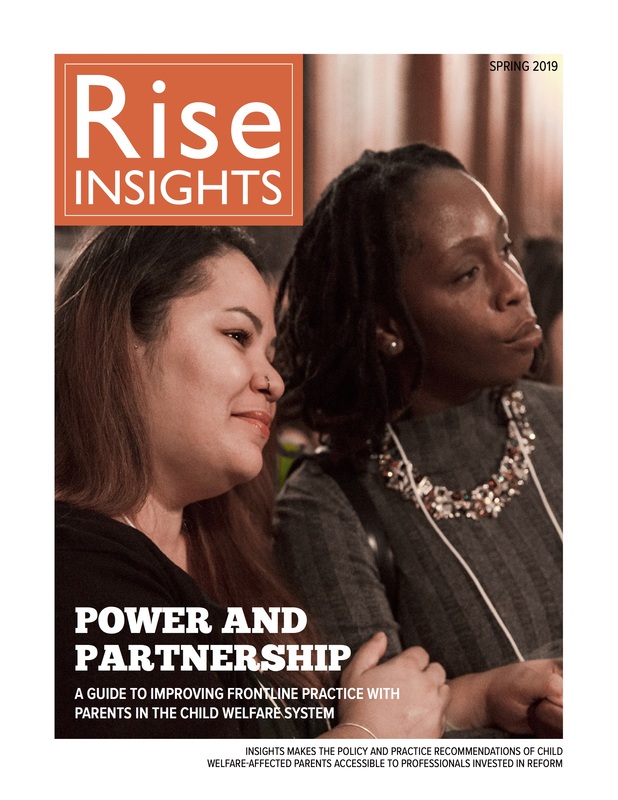 Q: What made you want to speak at Rise’s benefit? A: I’m now starting a book about new structures of family—which includes adoption, foster care, gay families, multi-parent families, single parent families. Of course, these all overlap all the time. When I looked at Rise, I realized that I had been very aware of how difficult it is to be a foster kid and to go from home to home. But I had only given a little bit of thought to what it was like to be a mother who lost her child to foster care. The stories in Rise were so shocking to me—for what these mothers had been through when they lost their children, and for what they were required to go through to get them back. I realized as I read them: This is not happening to people who have education and money; it’s happening to people who lack those advantages. I thought this is such an important story. It needs to be amplified. Every time there’s a story in the news about a child who social services didn’t take away, and was severely injured or died, there’s a huge explosion of press about it. And there should be, because when a child dies, it’s a terrible, terrible thing. But there’s no explosion of press around every time a mother loses a child she shouldn’t have lost. We need to protect children from being killed; we also need to protect parents and children from being unnecessarily separated. And we just don’t see that. It just isn’t in the news in the same way. People need to be awake to the fact that these tragic stories are unfolding.